The wedding season is here, hooray! Now all the sketches in the book can come to life, and here is the first I’m blogging (need to catch up). Being in London means I (or we) get to deliver wedding cakes to all sorts of different venues, some are stately, modern, simple, ornate and sometimes we’re even lucky enough to only have to deliver 10 minutes away to The Grand Connaught Rooms in Covent Garden. 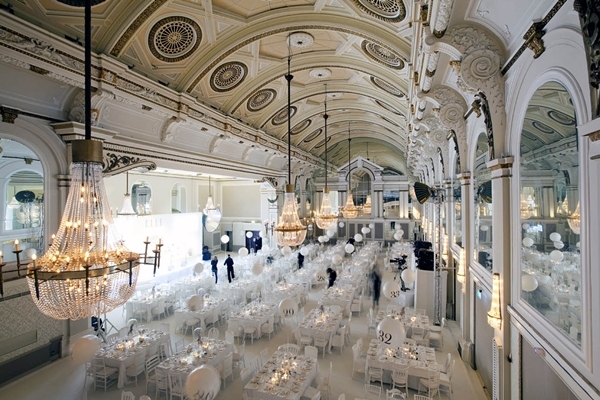 With it’s high ceilings, gorgeous chequered reception floor and beautiful chandeliers, The Grand Connaught Rooms is a popular space for weddings. The cake included two tiers of Rich Chocolate and one tier of Vanilla bean and Berry Italian meringue buttercream. The design is vintage inspired, with white lustre lace appliqué over an ivory base. To incorporate the bride and grooms colours into the cake, large purple roses and blue filler flowers match the satin bow. The lighting and elegant chandeliers were the perfect backdrop, and the bride was one a total pleasure to work with from start to finish. What a great start to the year. 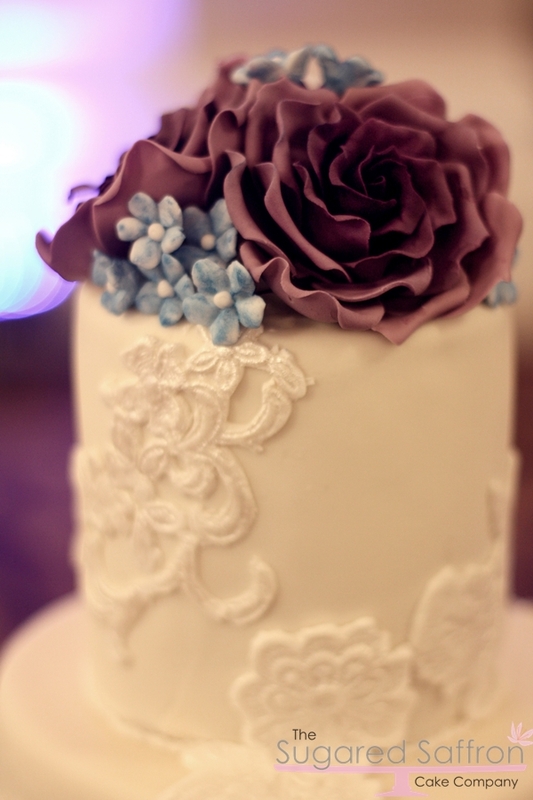 Keep your eyes peeled for more purple cakes, more exclusive London venues, and even more cake! That venue look so luxurious. And as Katharine said the cake really compliments it! The cake looks like it fitted in perfectly at the amazing venue! Yum! and beautiful! It looks so pretty. 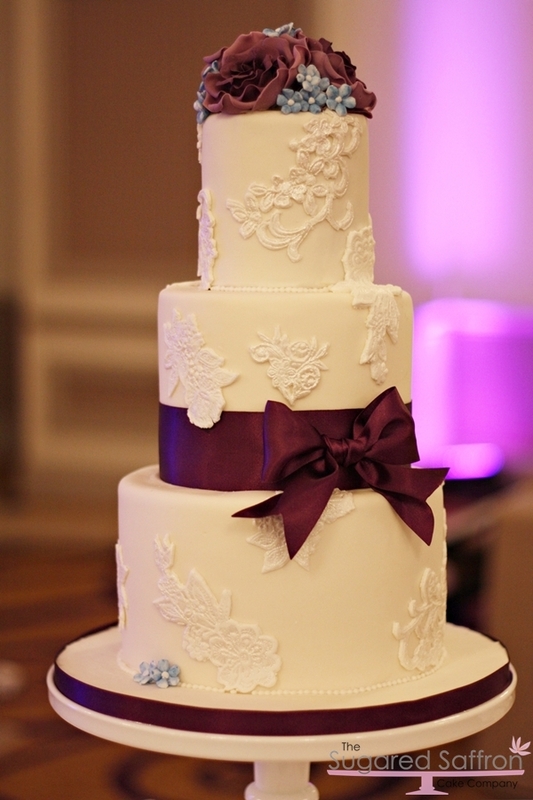 A stunning cake for a stunning venue! 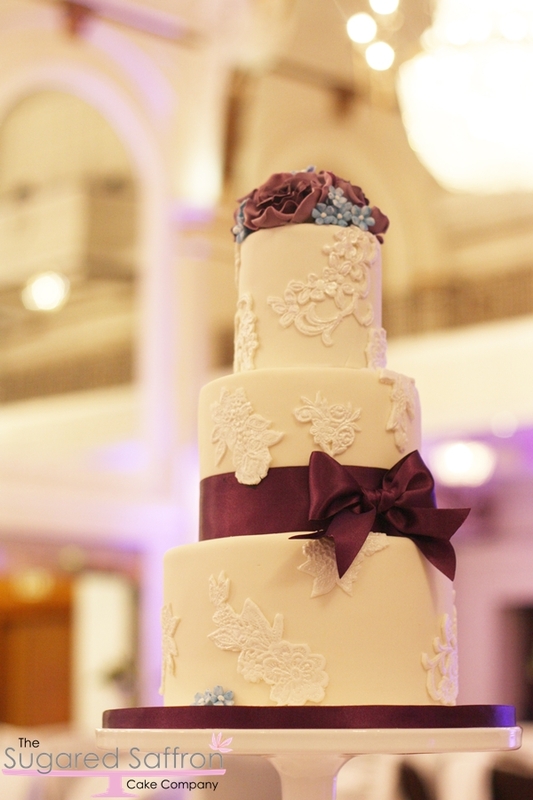 Beautiful cake, perfectly suited to the Grand Connaught Rooms which is such a grand venue. Beautiful – I love how the lace edges over that pretty satin bow.